When I first came across an article about Leica’s digital camera with no display screen, I first thought it was an April fool’s post. No, the post was published on April 30th not March 31st. 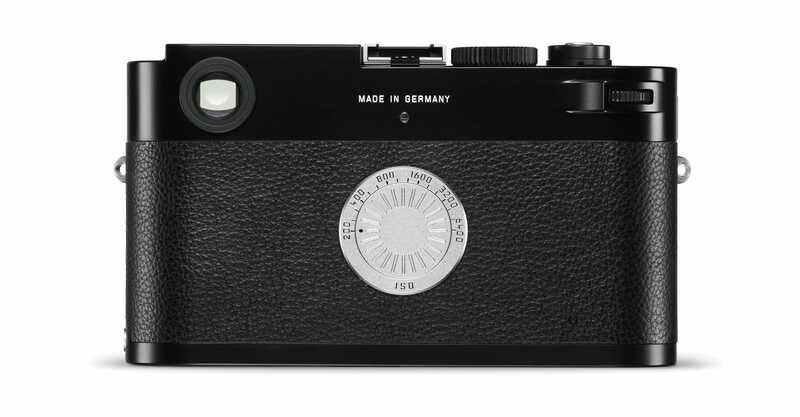 In 2016, Leica indeed released a camera without any kind of a screen, the Leica M-D. Even my Canon 5D had a screen as did generations of PowerShot 30 and 45’s. There’s a kind of brilliance in it. I remember the thrill of shooting my Pentax K1000 or Zenit cameras and not knowing what was waiting for me on the other side. I was never a full time professional image maker in the days of film but I did make many beautiful pictures (though some shoots did fall on their face). Photographers had to be really, really good then to work professionally as there could be hundreds of people dependent on your images. For a big event, a wise brand would hire two or three photographers. I.e. the backup, behind-the-scenes guy would shoot some duplicates of what the main camera was shooting, just in case. We sometimes used those behind-the-scenes photos for the main print shots in an ad campaign. What’s important here is that Leica made a film of three street photographers working with the Leica M-D. The three subjects were brought together in Porto and spent what looks like a week shooting together. The result is Exploring Porto with the Leica M-D. 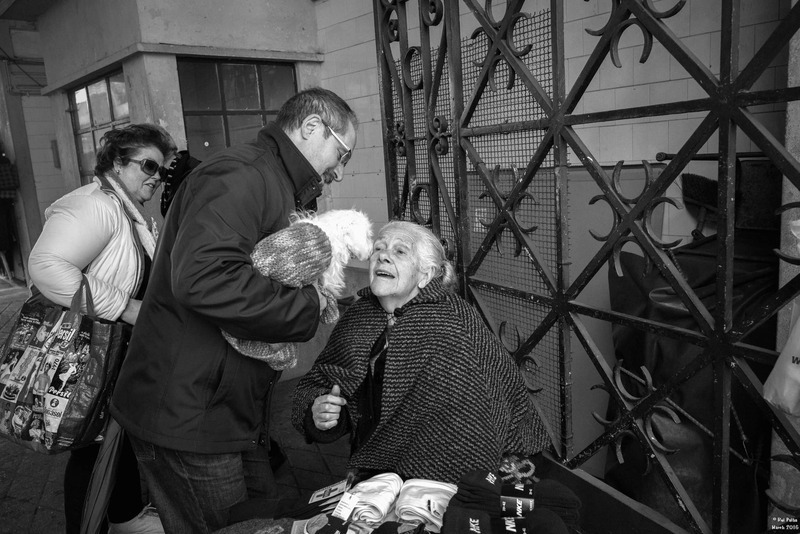 The most interesting of the three street photographers is the oldest, Rui Palha, from Portugal. When he shoots portraits in the city, he returns with beautiful black and white prints and gives them to his subjects. It makes them feel important, and they are important. 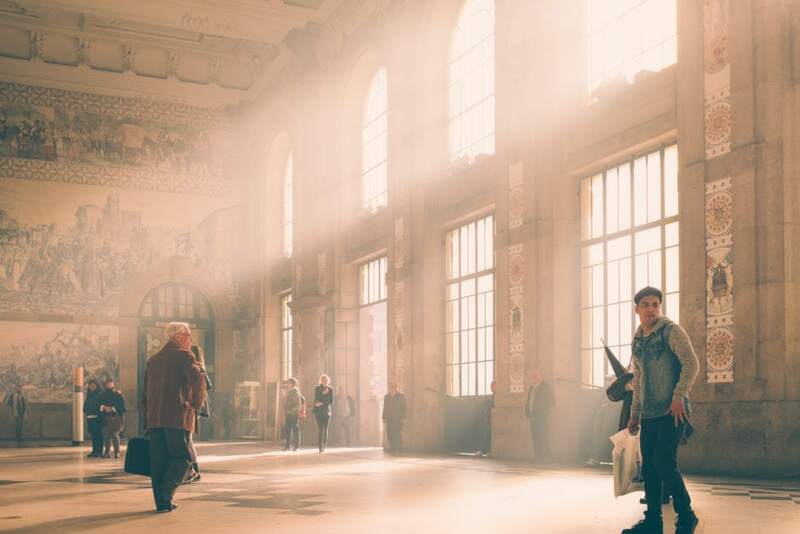 The excitement isn’t a wild photo….when it works it feels like you have super powers to distill this crazy unexpected thing from the whole mess of the world…Our existence however full it gets is lonely, short and meaningless. Being able to present your experience as something concrete, it’s like this is my story as I saw it. Witness me, validate my existence. Let me be more than this fleck of dust in the air. 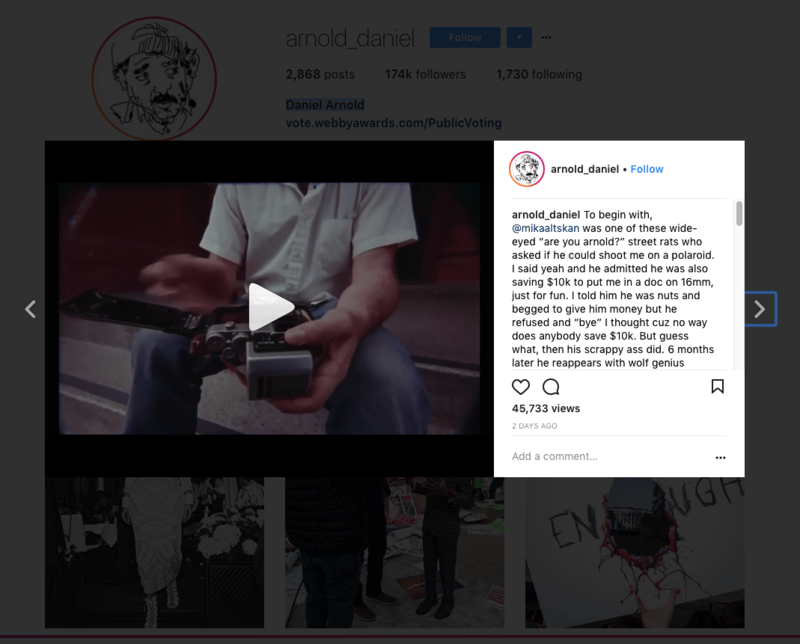 As a photographer, Arnold mainly shoots real film. His technique unsurprisingly was not successful on his first time out with a digital camera. Many younger photographers will identify with La’s struggle for direction. La’s hunger to abandon technology is something that most modern photographers understand. I was shooting all different kinds of cameras. It was pretty much, point shoot, shoot, shoot, burst, whatever. It got really, really boring. My interest in photography started to die until I switched over to Leica, because everything with Leica felt genuine. What’s nice about Leica and a few other camera on the market is that there are fewer features. Fujifilm has tried very hard to put all the controls on the exterior of the camera so that once you’ve set up your shooting preferences you should almost never have to look at a menu again. Olympus has played with the retro, all exterior controls as well. With my Sony NEX-5T, it’s very similar. There is a knob on the camera for shutter speed and a wheel on the back for aperture (which I can also use for ISO). Since I only shoot RAW, I don’t ever even look at white balance. Many photographers curse the Sony menus but I need mine so seldom they bother me hardly at all. So a Leica is not necessary to get to this zen state. Many of Leica’s offerings including the Leica M-D or the SL are certainly a fast track to photographic zen if you can afford them. I’m very grateful that Leica exists to remind other camera makers that at the end of the day, it’s just light boxes and lenses. The lenses are so much more important. Uncomplicating a great camera does the photographer the great favour of letting them not think about it. It’s a visceral thrill. Just like film, you don’t know what youv’e got until later on. Strangely the camera infuriated many hobby photographers. The last few minutes of the film are really boring. How nice to meet in Porto and discuss photography with photographers who are so different. It would be better if the film ended at 8 minutes precisely. Despite the weak ending, Exploring Porto with the Leica M-D is a remarkably concise journey into the vision of three photographers. For anyone who has ever shot street or anyone who has ever wondered what drives a photographer to do what s/he does, it’s a straight shot of insight and inspiration. Technically the film looks to be shot on a photographic camera (as opposed to a video camera). The cameraman played to the strength of the medium with wonderful handheld shots and odd angles but very little movement or pans. If you keep your camera still, rolling shutter and digital jitter are not an issue and there’s no need for IBIS. I’m wrong. It was an Alexa Mini with Leica Cine lenses. The Alexa Mini allows video capture in RAW (2880 x 2160) at up to 200fps with 14 stops of dynamic range. Leica doesn’t have a moving picture camera like this in their catalogue and bravo to them for choosing the right technology to capture the story. The video was a very good match to the high quality photographic images taken by the Leica M-D. Even though the Alexa Mini is smaller than a traditional Alexa film camera, it still weighs 2.3 kg without a lens. Not something you’d want to take on your next vacation, even if you had an extra $36K (without the lens). Next Post What sacrifices should parents make for their children to be happy?